Scott Vandenbelt, M.D. 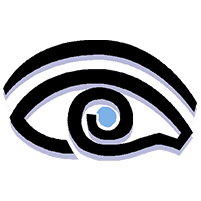 : Ophthalmology Bay City, MI: Valley Eye Care, P.C. We provide patients of all ages with comprehensive medical, surgical and well eye care in a friendly, home-town atmosphere. "He is such a nice personable man." "Dr. Vandenbelt took care of both of my children and answered all of my questions." "I absolutely have had the best experience here! They are caring, funny & very helpful!" Welcome to Valley Eye Care, P.C. Scott Vandenbelt, MD is an experienced and dedicated board-certified ophthalmologist who serves patients in the Bay City, Michigan, area through his top-tier eye care services at Valley Eye Care, P.C. He gives each patient personalized eye care with the intention of promoting their long-term ocular health while earning their trust. Dr. Vandenbelt earned his medical degree at Wayne State University School of Medicine in Detroit. He completed his ophthalmology residency at William Beaumont Hospital’s Beaumont Eye Institute in Royal Oak, Michigan, and Detroit Children’s Hospital. To build on his extensive training, Dr. Vandenbelt has dedicated himself to continuing education. He is a board-certified member of the American Board of Ophthalmology and a fellow of the American Academy of Ophthalmology. He is also professionally affiliated with the American Society of Cataract and Refractive Surgery, Michigan Ophthalmological Society, Michigan State Medical Society, and Bay County Medical Society. Additionally, he has hospital privileges at the Bay Region Medical Center in Bay City and the Mid-Michigan Medical Center in Midland, Michigan. Dr. Vandenbelt is a Bay City area native with a long-term commitment to sharing his knowledge with and delivering top-tier care to his community. He has served as the McLaren Bay Region Chief of Staff and is on numerous local boards as a way to make his skills and expertise available to the community. Dr. Vandenbelt works to build a strong doctor-patient relationship with those who come to Valley Eye Care, P.C. so he can join them on a lifelong journey to promote eye health. For more information or to schedule a consultation, call Valley Eye Care, P.C. or make an appointment online. Purchase Your Maui Jim Glasses At Our Office Today! Do you have fine lines, dark spots, wrinkles, acne, or sun damage? We all do! We can help Restore, Replenish, and Rejuvenate your skin through our SaltFacial service. You may be suffering from Cataracts.